I recently started sketching flamingos after finding some old family photos taken at a zoo’s bird exhibit. 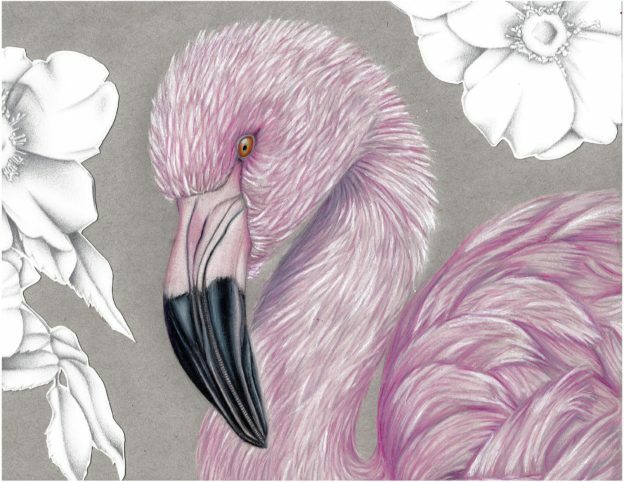 Flamingos quickly became a new favorite bird of mine to draw, which is why I decided to enter this piece. A famous bird, Lady Bird Johnson, once said, “Encourage & support your kids because children are apt to live up to what you believe of them.” Every year, I watch our neighborhood family of mockingbirds raise their young. What stands out most in my mind about Northern Mockingbirds are what remarkable parents they are. Because the fledglings are brought up with so much care, generation after generation grows up to be such supportive parents themselves. 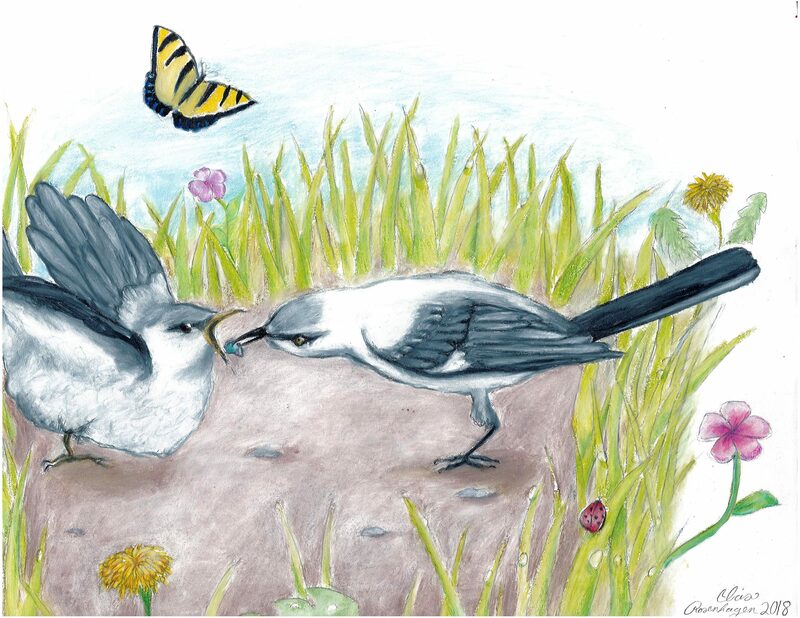 The mockingbird parents are protective, nurturing, and they belive in their kids. I’m grateful that my own parents share these values. But I think I’m even more grateful that my parents don’t regurgitate bugs into my mouth. In all seriousness, I like to consider Northern Mockingbirds a symbol of how every parent should be. 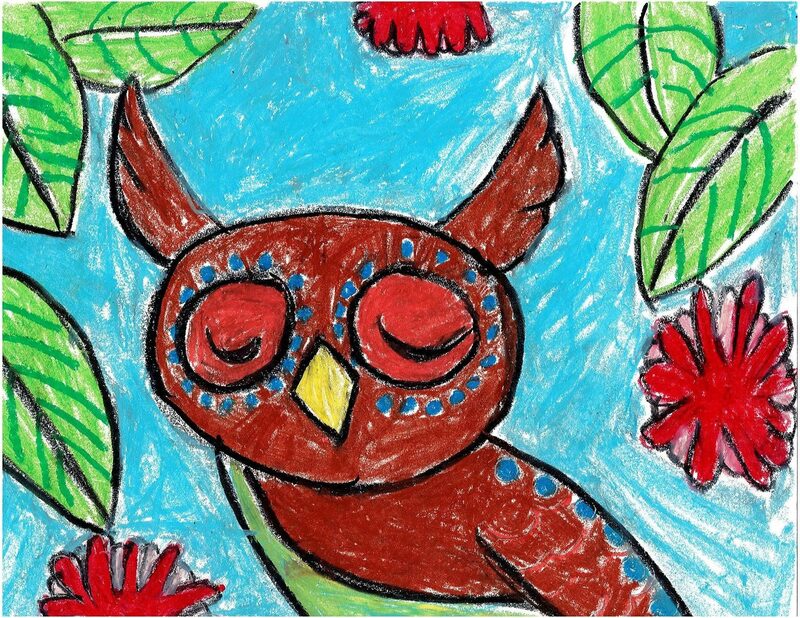 Owls are nocturnal, beautiful and mysterious birds. Cockatiels are one of my favorite birds because of their red blush. It is a cockatiel in a pine tree and it is almost night time. 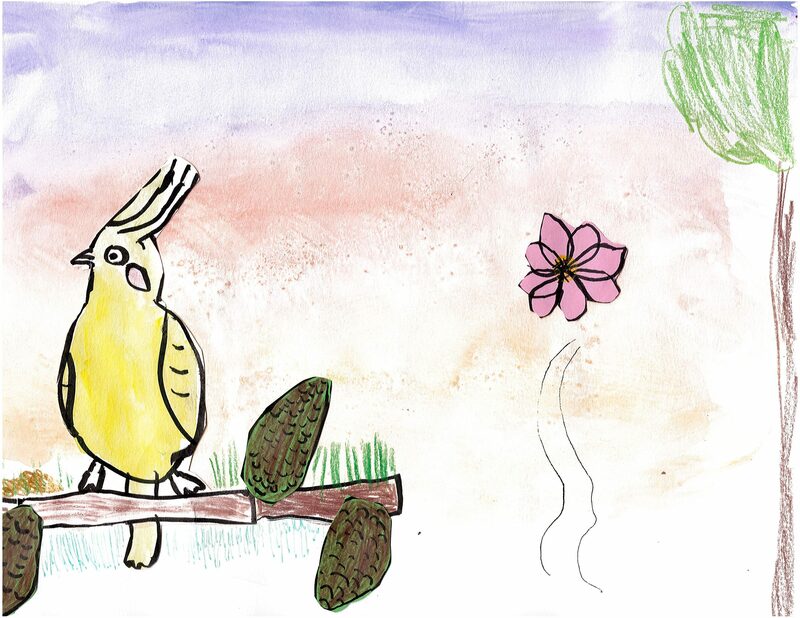 I cut the bird out because I didn’t like one of my bird drawings and this one is nicer. There is a pink flower and it has falling out of a tree. For the background, I blended the colors and used salt. I love going to the beach and running with the seagulls. When I heard of the art contest I thought they were the perfect bird to draw. 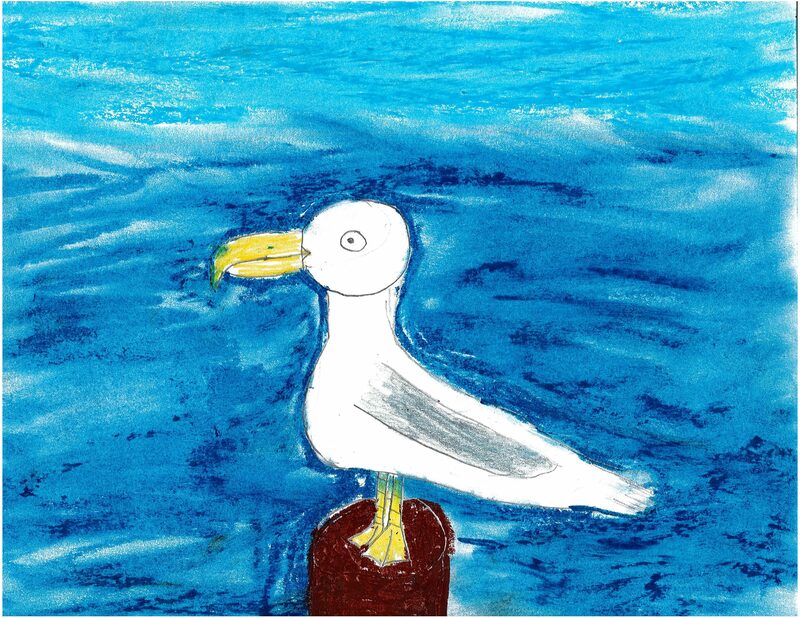 This entry was posted in Taking Flight: Juried Youth Art Exhibition and tagged Cockatiels, Flamingo, Owl dreaming, Seagull, Taking Flight 2018, Young Artists on November 16, 2018 by Sean K..